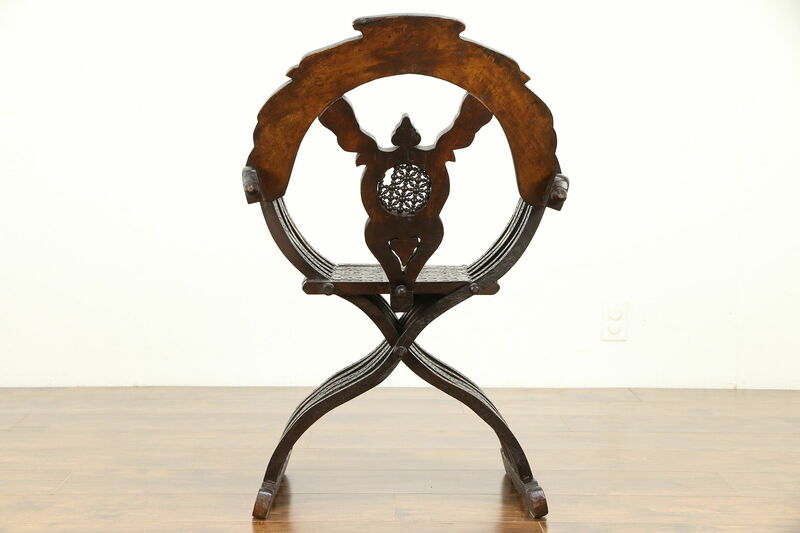 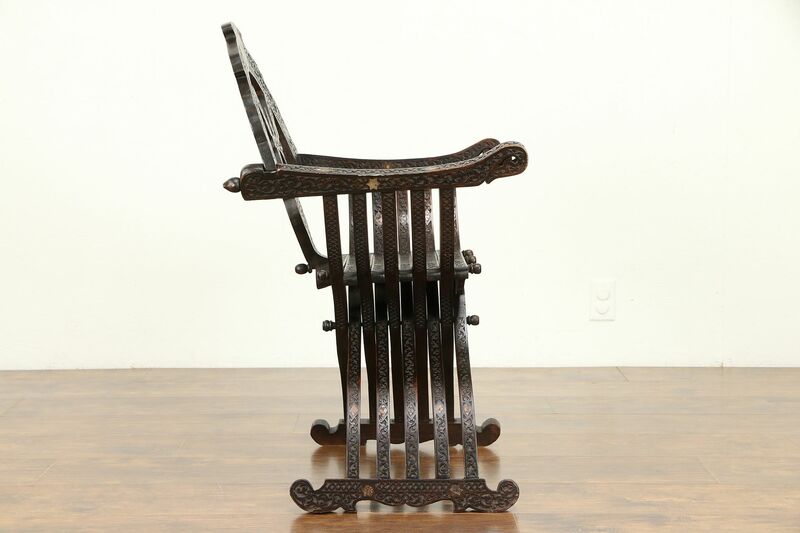 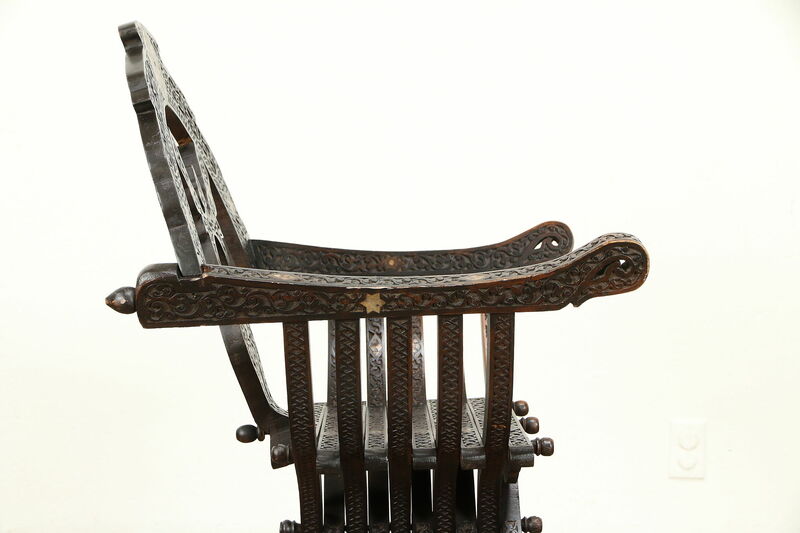 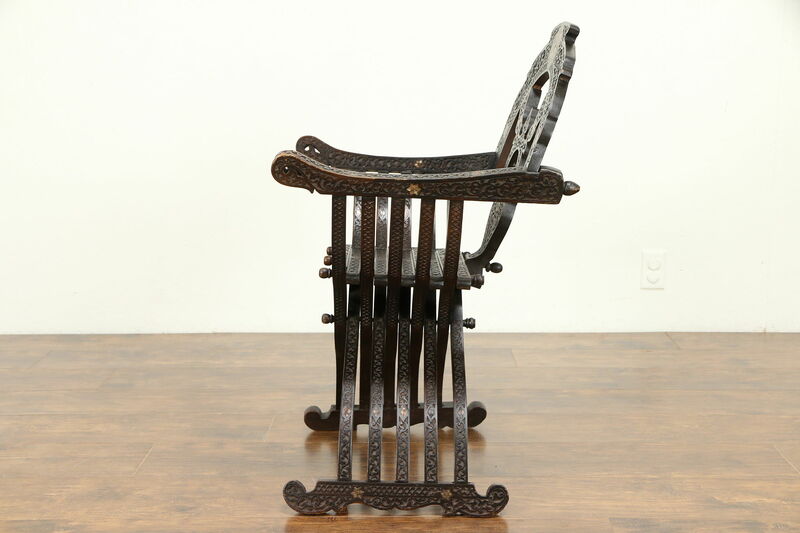 This style of chair is called a "Savonarola" in Italy after the monk of Renaissance Florence, but actually is a descendant of an ancient Roman design. 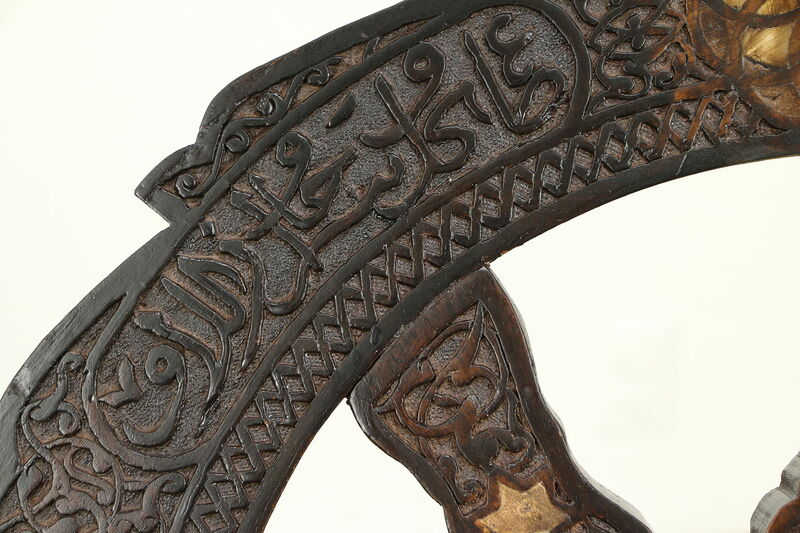 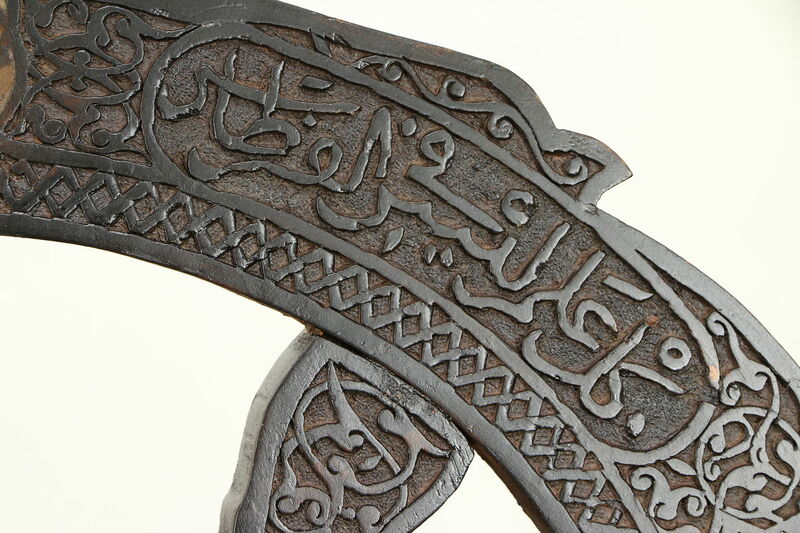 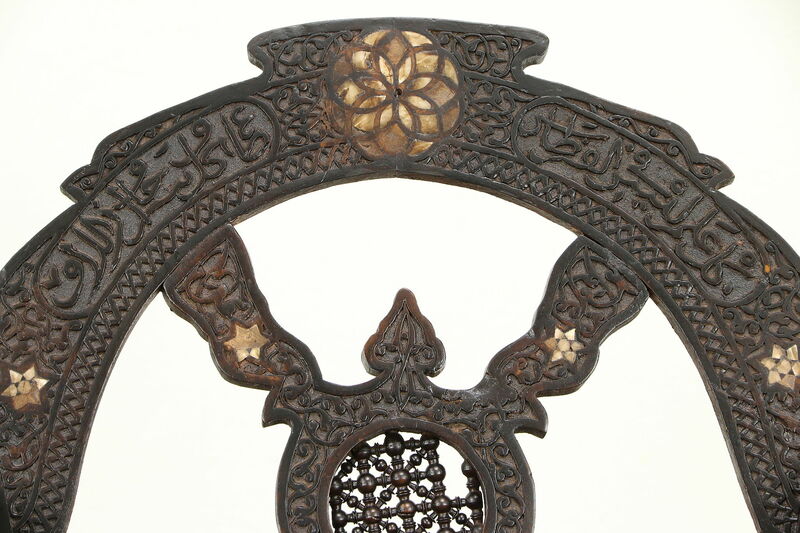 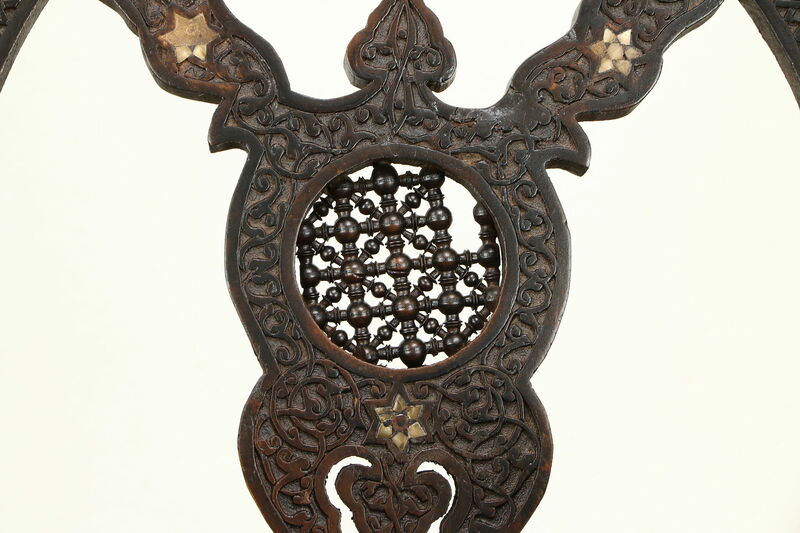 This wonderful example was hand carved of mahogany in Egypt about 1900 with Arabic inscriptions and inlaid genuine pearl. 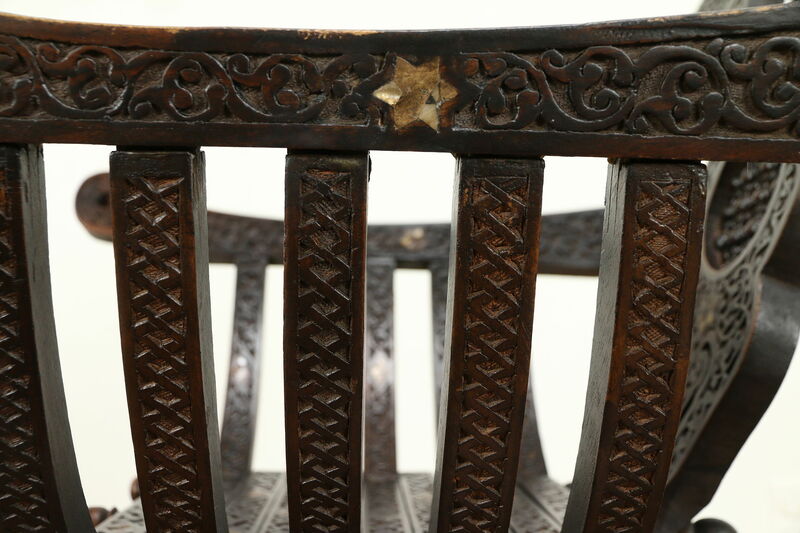 The restored finish preserves some wear and losses for a little antique character, see photos. 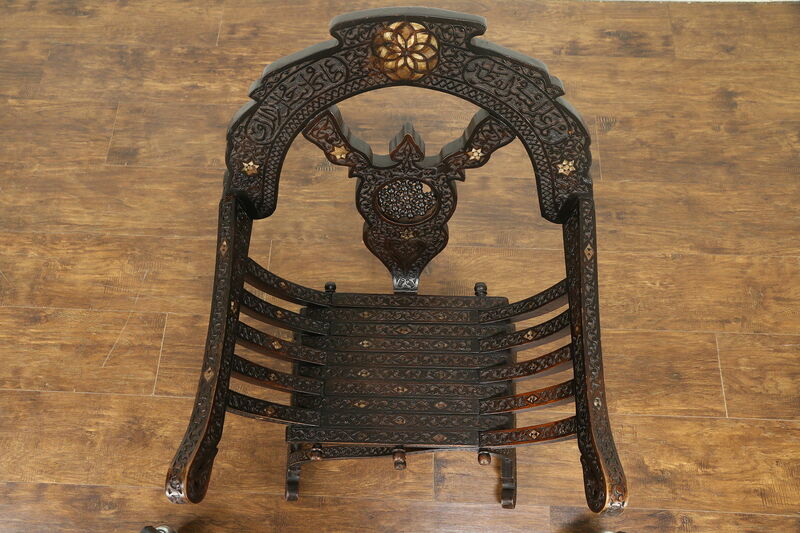 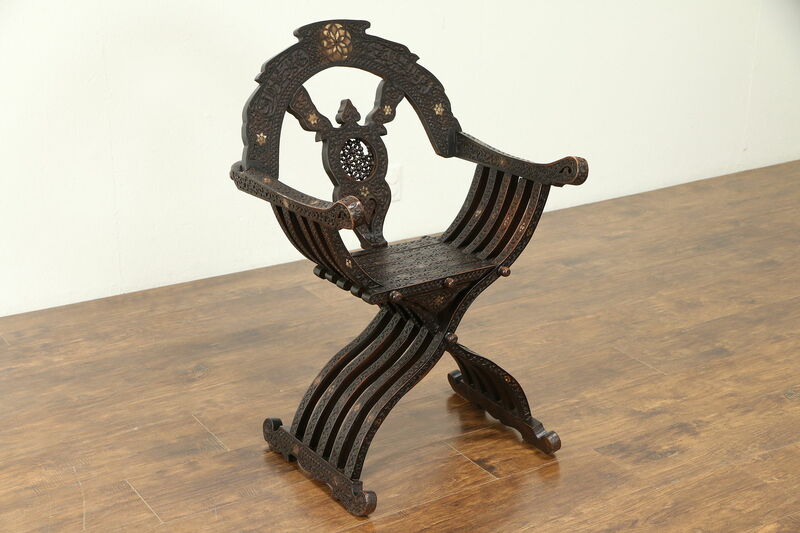 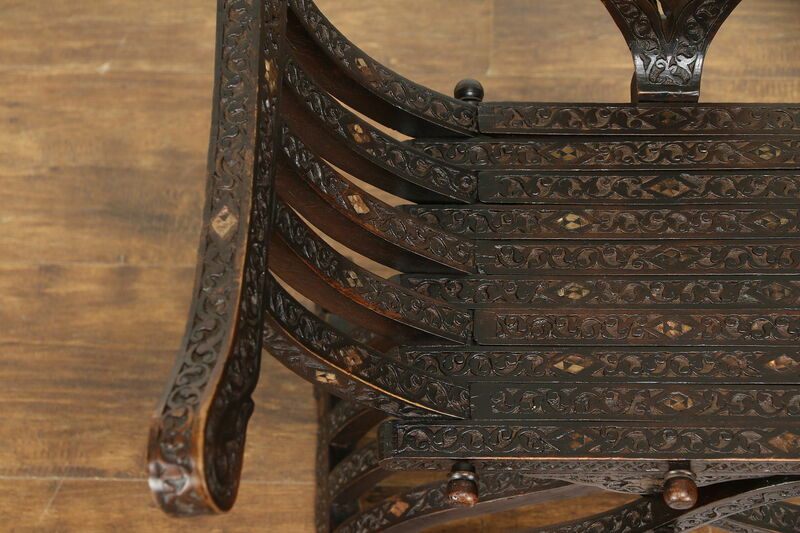 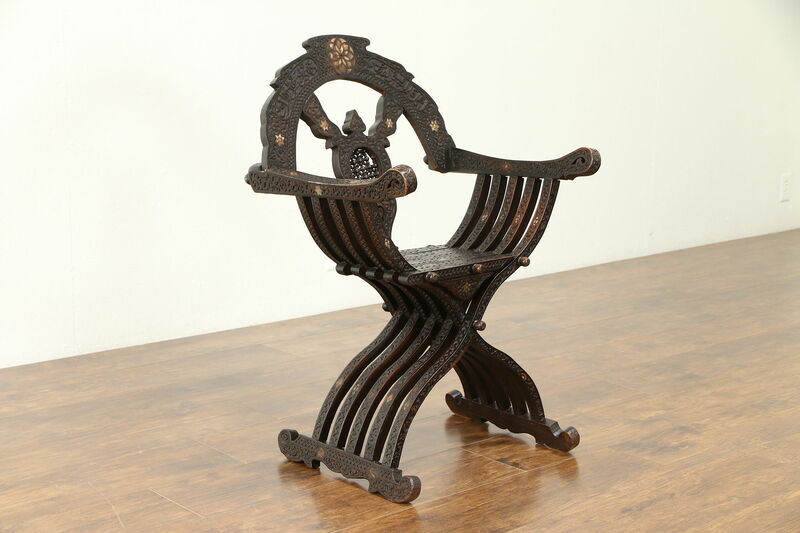 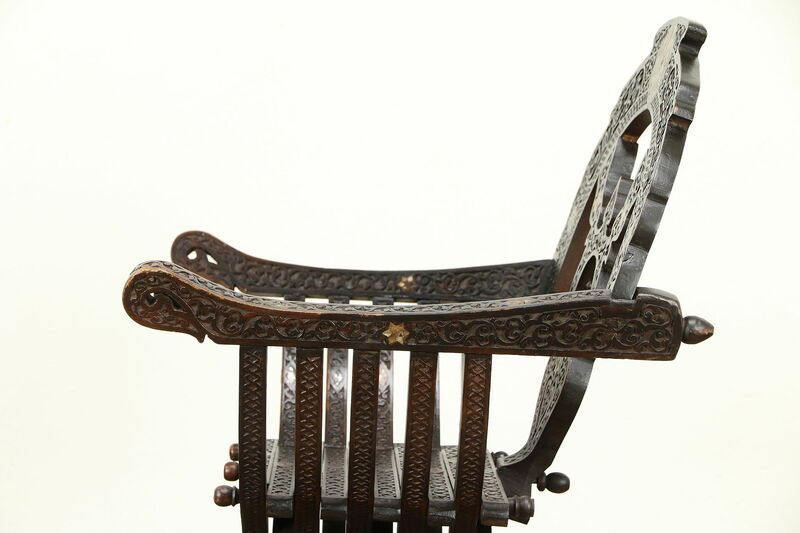 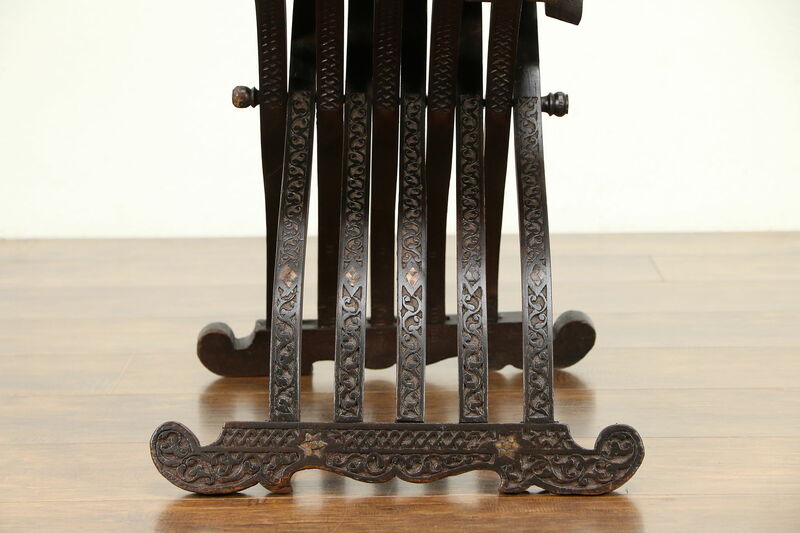 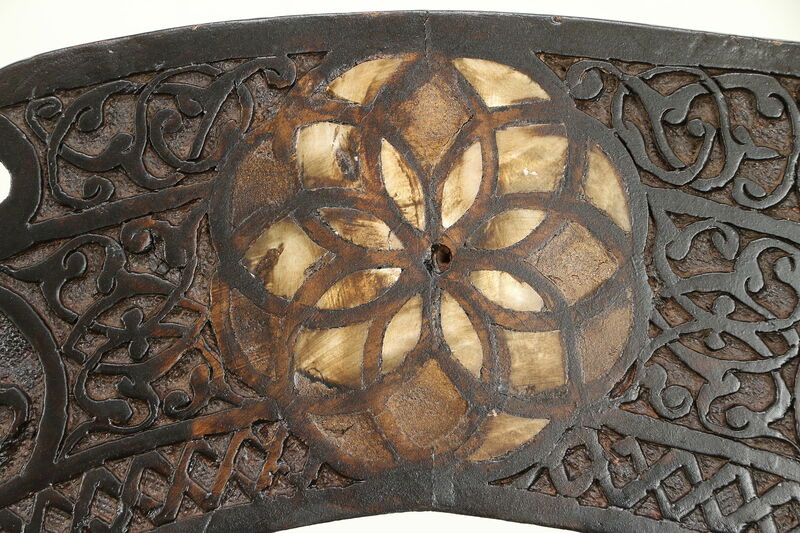 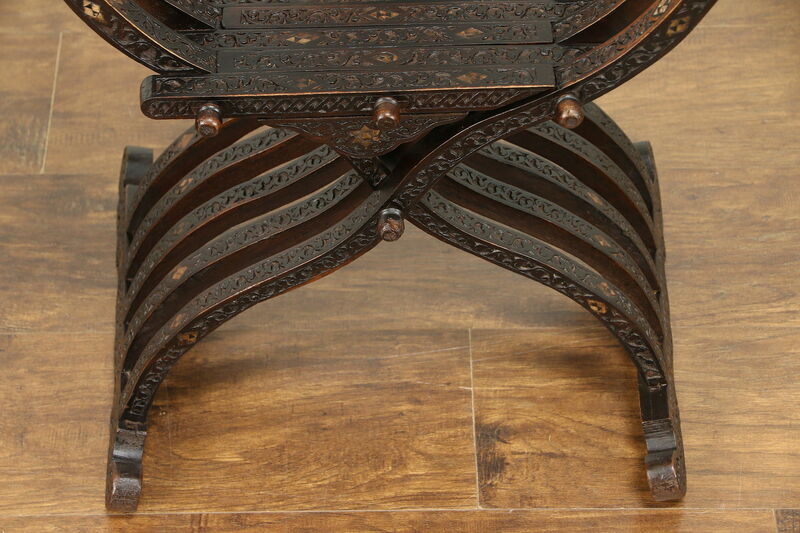 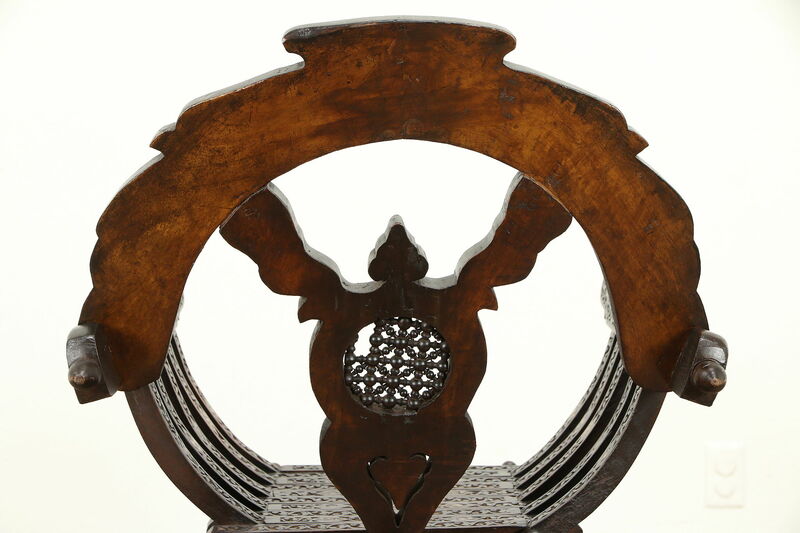 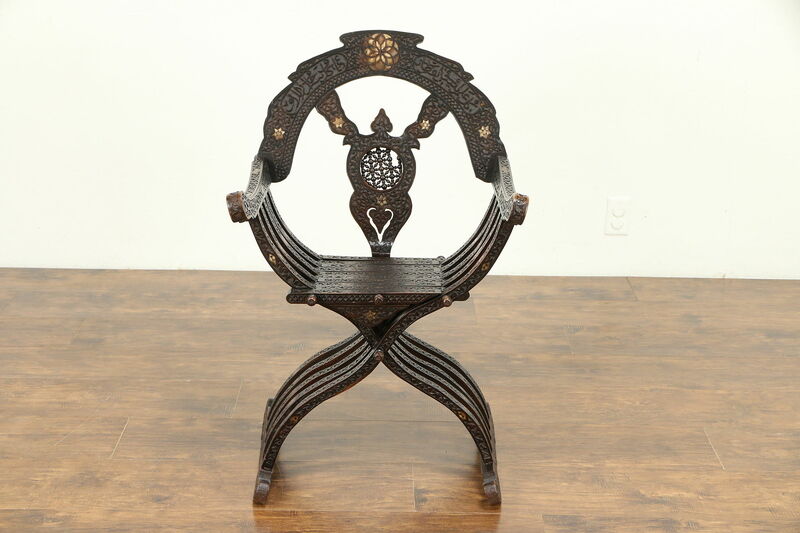 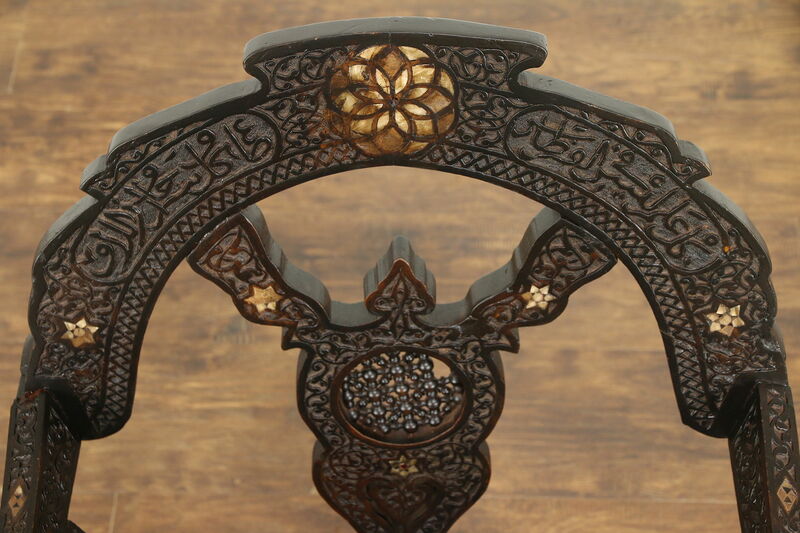 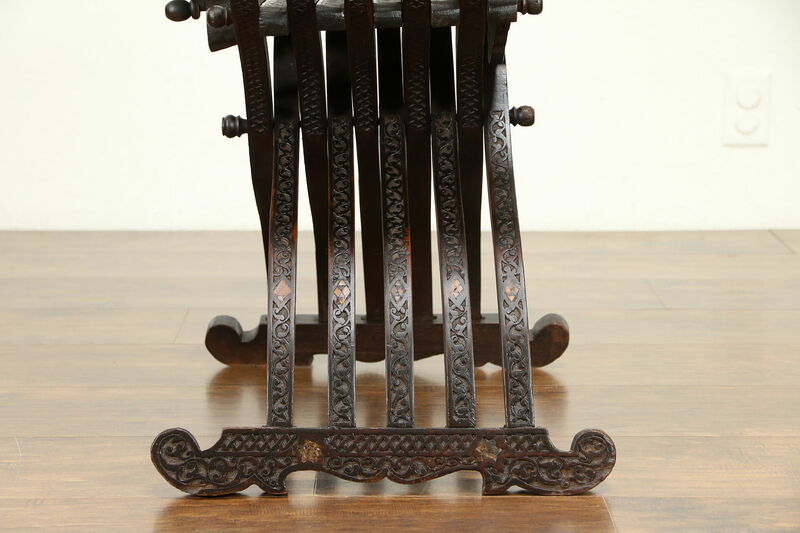 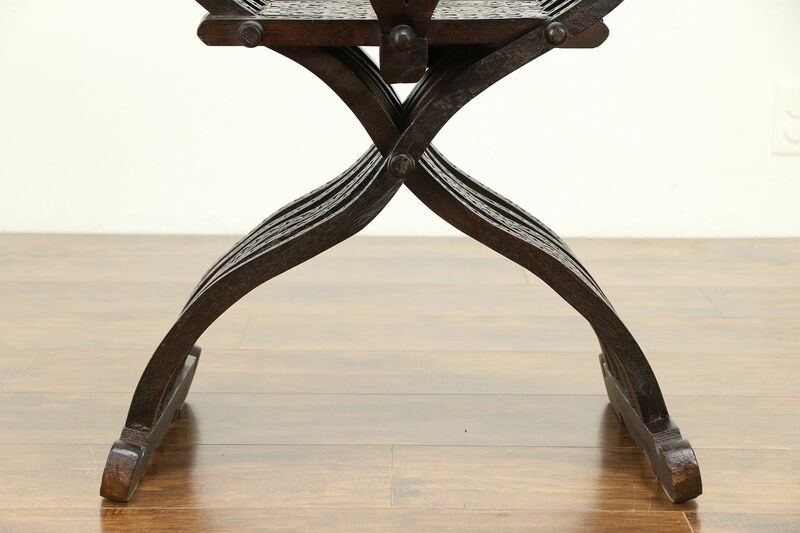 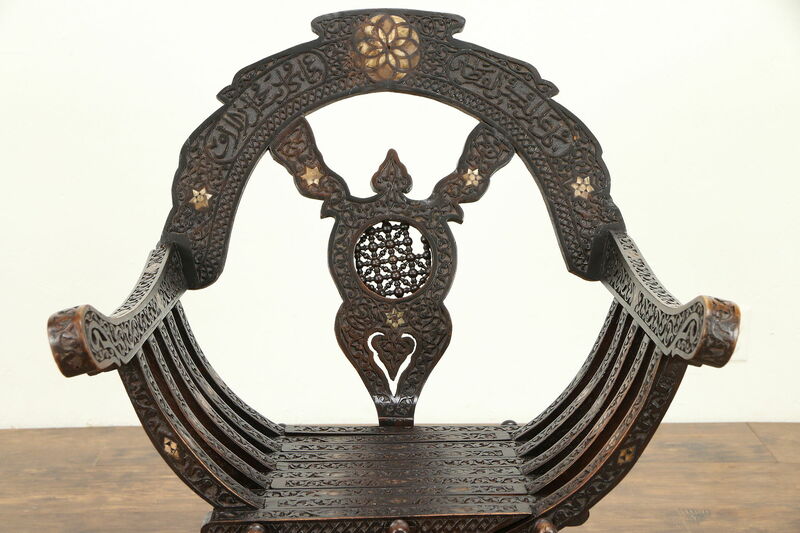 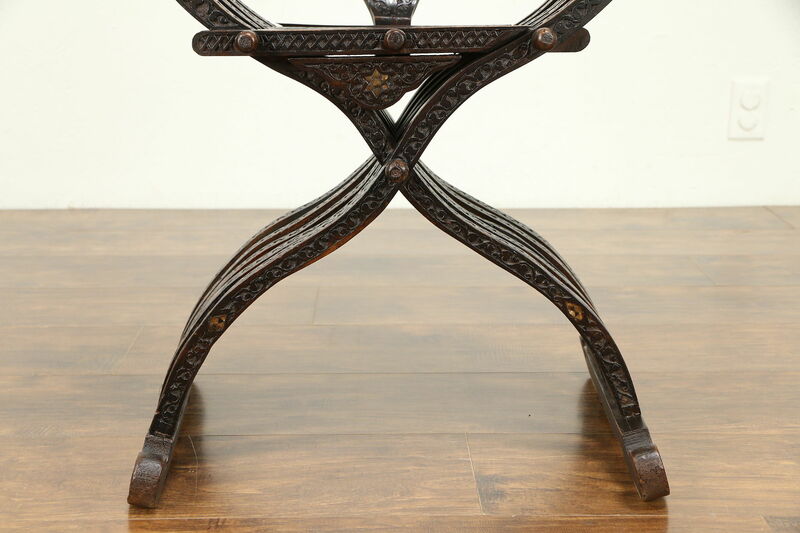 The frame is sturdy on this intricately carved furniture. 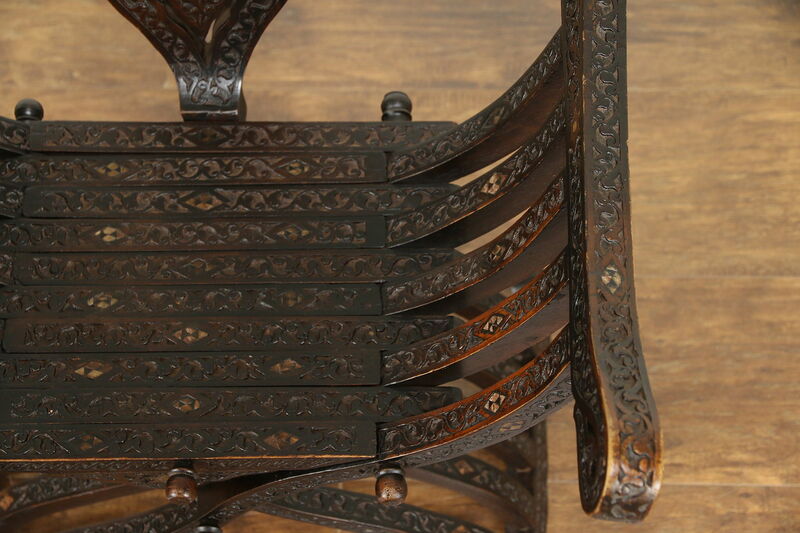 Measurements are 22" wide, 22" deep, 34" tall and the seat is 17" high.